15 Best Bass Headphones in 2019 - Which Have Deepest Bass? Pick one of the hardest hitting bass “cannons” you can get right now. Vote for Your Favorite Bass Headphones! Related guides: Looking for best bass earbuds? Click here. 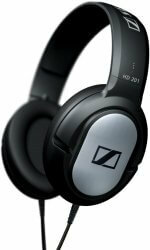 Disclaimer: These headphones require a powerful amplifier and right EQ settings to get the most bass out of them. These Japanese headphones are our first choice when it comes to bass. 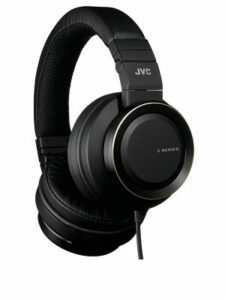 JVC HA-SZ2000 play bass better than 99% of other headphones. The Beats Solo 3.0 are a powerful contender in the wireless headphones space, especially if you are invested in the Apple products ecosystem. Beating out many other respectable headphone brands, the Solo 3.0 delivers a comfortable and lively listening experience, with a commanding low-end presence. Your unboxing experience will certainly not disappoint, as the Beats Solo 3.0 arrives in a well-thought package that forecasts the quality inside. You won’t receive a dedicated charger or USB power converter, but you likely have one of those already, or you can simply charge them from your computer. These are Beats, so we need to talk about that bass, and yes, there’s plenty of it. The great thing about the Solo 3.0 is that the low frequencies are not so overbearing that it totally eclipses the rest of the listening experience. Bass is strong and punchy, with a good amount of articulation. There can be a little bit of competition with the low-mid frequencies with certain music genres or tracks. Mids are consistent and allow for great vocal clarity, whether listening to music, playing movies, or listening to podcasts. The highs are present and certainly not too bright. If anything, the treble range can lack the brilliance and shimmer you might expect for cymbals or higher frequencies. The balance between the lows and highs is improved when listening at higher volume levels, but the low/mid interaction can become more noticeable as well. Separation is good, yielding a reasonably wide soundstage that isn’t excessive. This is great for movies because it seems to keep the listening experience in focus. The sound quality of the Beats Solo 3.0 in wired mode is not as crisp and strong as other premium brands, but wireless performance and quality are superior to most. The Solo 3.0 is a noticeable improvement in the Beats catalog, providing an overall great listening experience for modern pop, hip hop and EDM genres. Previous Beats detractors and haters might want to give the Solo 3.0 a listen, as the extreme bass coloring of older models has been better and controlled and balanced. And fans of the original Beats by Dre sound signature will quickly begin to appreciate the added bass quality and refined articulation. For a smaller on-the-ear design, Beats delivers a very comfortable set of headphones with the Solo 3.0. The lightweight construction allows for a secure fit that doesn’t feel too tight or clamp too hard, although users with a large head size may feel some discomfort. Soft leather trimmed earpads rest easily on the ears without pushing too hard against the upper ear, allowing listeners to wear glasses without too much pressure. 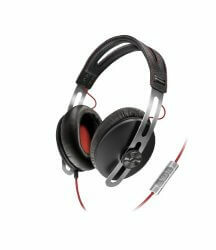 The drivers inside the earcups are also covered with a soft padding that adds to the overall comfort level. 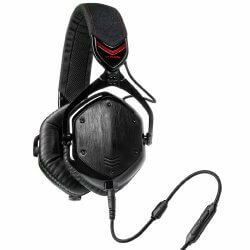 Even though they are lightweight and feel plush, there is a surprising amount of ambient noise isolation. This is great for focused listening in an office or in public. While you may not want to do a lot of strenuous exercise with the Solo 3.0, the headband has good grip that keeps the headphones in place for most activities. Some users with larger ears or head size may find that the earpads can cause the ears to get warm and possibly uncomfortable after an hour of use. The Beats Solo 3.0 features a basic design that is minimalistic yet remains true to the Beats brand contemporary style, and it is available in several tasteful color options. The lightweight design features a lot of plastic, but it feels solid and sturdy nonetheless. The headband has good reinforcement that holds up well. The earcups have a decent swivel range for a comfortable fit, but they can rattle a little bit when carrying the headphones (this does not affect audio quality). The W1 chip is included for great compatibility with a wide range of devices, including support for Bluetooth 4.2 as well as the AAC and aptX codecs. 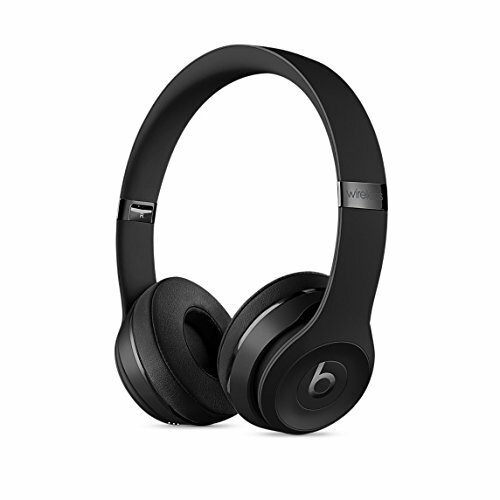 For Apple device users, the Beats headphones will easily and automatically pair with all devices on the user’s iCloud account once the first device is paired. 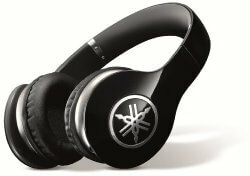 Wireless audio connectivity range readily exceeds 50’, making these one of the better wireless headphones from a connectivity standpoint. With a playback time surpassing 40 hours and two more hours with a five minute charge, it’s hard to find another set of quality headphones that will beat that. The standby power mode helps extend the battery life as well. One of the few downsides (and a rather minor one at that) is that the included carrying case could be a little more robust to match the rest of the product quality. A standard one-year warranty is provided. 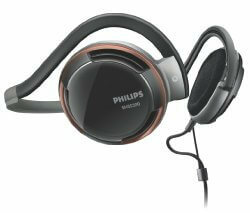 This is simply ok, since other premium brands can offer a 2-year or even a 3-year warranty on their headphones. The Beats Solo 3.0 wireless headphones deliver solid value and robust performance that is suitable for bassheads and modern music listeners alike. Apple users should definitely consider these for their classy style and effortless compatibility. On the left side you can vote for your favorite bass headphones model. You can even add your own model that is not yet on the list. Make sure to check the results in a few weeks. If your new model gets enough votes from other people, we might review and recommend it in the future for more people to enjoy. Find out what are top wireless headphones for running. Share with us what you think about this website. Do you like the review, do you think we could improve the way information is presented? Leave your own comment in the section below and you can be sure we’ll check it out. Don’t forget to subscribe to the website updates or like the website in one of social networks to keep updated.